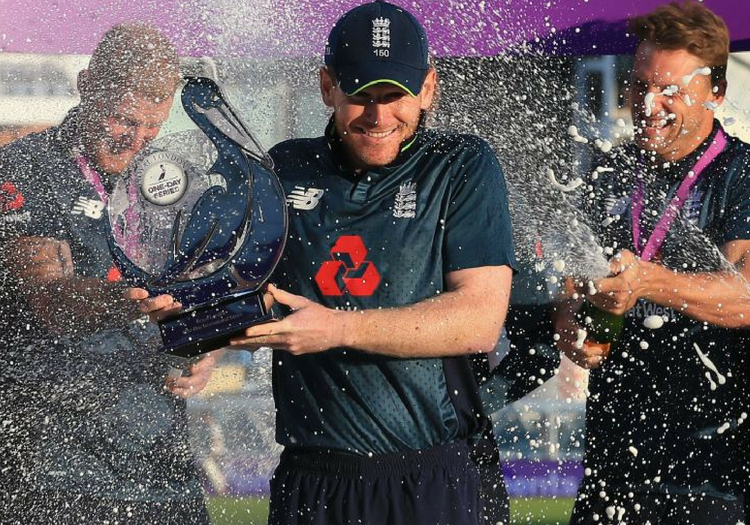 Eoin Morgan hailed "outstanding" England after his side clinched the one-day international series against India with victory at Headingley. 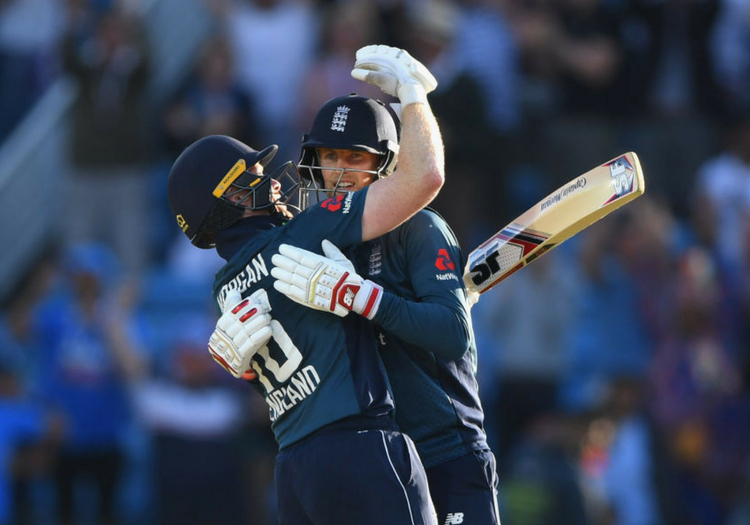 Having restricted their guests to a modest 256 for eight, the hosts knocked off the required runs with eight wickets in hand, with Joe Root scoring a century off the final ball of the chase. Morgan was quick to praise his bowlers, though, for laying the foundations for the win. David Willey (3-40 in nine overs) and Mark Wood (1-30 in 10) pinned India in early on before Adil Rashid (3-49 in 10) spun the middle order to pieces. Rashid claimed the key wicket of Virat Kohli with a savage leg break which brought back memories of the famous Ball of the Century, bowled by Shane Warne to Mike Gatting in the 1993 Ashes. "I think we were outstanding," Morgan said. "I think the tone was set by the bowlers early on, David Willey and Mark Wood were on the money. For about three or four overs it swung around but apart from that they hit their lines and their lengths really well. "From that point, there was no let up, we managed to get little partnerships going at different stages and had really good chances taken when opportunities did arise. We know the conditions here really well so we were able to take advantage of that. "I thought our spinners were brilliant and the chase was set up by the two openers and then myself and Joe were able to get going." Kohli admitted that India were below par. His side took a series lead with a commanding performance at Trent Bridge but have been overturned since. "I thought we were never on the mark as far as runs on the board as concerned, we were 25-30 short, and England were really clinical with the ball and with bat - and in the field as well," he said. "They thoroughly deserved to win today, we were just not good enough and against a side like England you need to be at your best in every game that you play, they've come back in the series and won two in a row so credit goes to them. "They suffocated us through the middle overs really well, those two spinners again joining hands and bowling 20 overs together, they really bowled well in a partnership and that's what you need as a side, you need bowlers to bowl in partnerships. "Neither of them got greedy, they just kept containing the runs and got the results eventually."